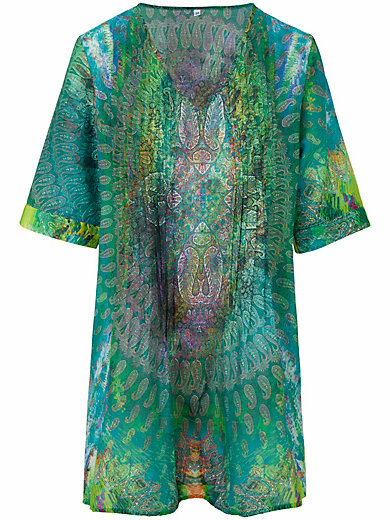 Kaftan by OPERA: a summery eye-catcher with a print in stunning colours. Long and wide cut with a contrast coloured band along the neckline and side vents. Beautifully fluid jersey in 100% cotton. Length approx. 47 ins. Machine wash.